I’ve been making ice cream at home for the last couple years, and experimenting with flavours that you simply can’t buy in stores. The base for my ice cream is a cooked custard. I heat 4 cups of milk to just below a simmer (for some flavourings, you’ll infuse them in the milk at this stage, then strain). In a separate bowl, I combine 10 egg yolks with 1.5 cups of sugar and a generous squirt of corn syrup (1 or 2 Tbsp). Once the milk is at temperature, I slowly pour the milk into the egg mixture while constantly whisking. This tempers the eggs so you don’t end up with sweetened scrambled eggs. Pour the milk-egg mixture back into the pot and cook over medium-low heat until the mixture thickens. It’s perfect once the mixture is thick enough to coat the back of a spoon inserted into the pot. Remove the pot from the heat and add your flavourings. Let the mixture cool to room termperature, then refrigerate to cool completely. Once cool, use your ice cream maker to turn into ice cream. In this latest ice cream adventure, I made matcha ice cream. 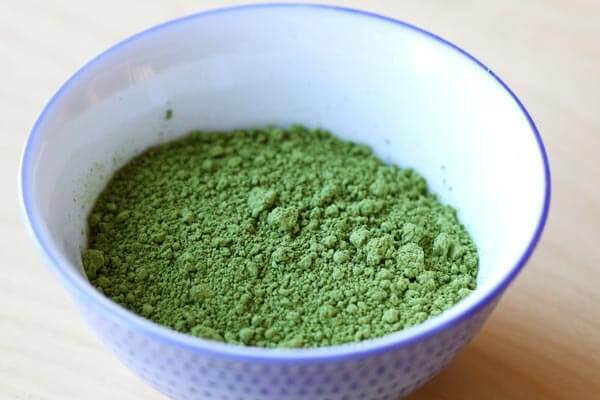 Matcha is Japanese green tea powder made from very finely ground green tea leaves. This is the green tea used in Japanese tea ceremonies. It’s also packed with great stuff like antioxidants (because you’re consuming the entire tea leaf, not just infusing it). So I like to think this is healty ice cream. I based myself on Jason Truesdell’s matcha ice cream recipe to dermine the amount of matcha to use. So for my custard base, I added 2 Tbps of matcha and a splash of vanilla. The proportions were perfect. You definitely got a strong flavour of green tea, but without being overwhelming. 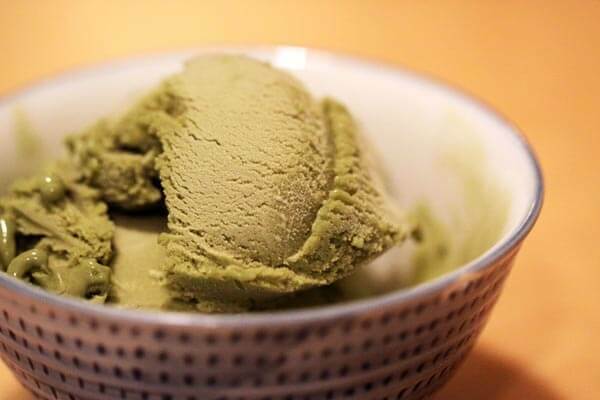 I’m glad I have lots of leftover matcha powder, because this ice cream is seriously addictive.